This has truly been one of the most fun food months I have had in a while. As I have mentioned previously, I'm following Paper & Glam's seasonal living list for March. 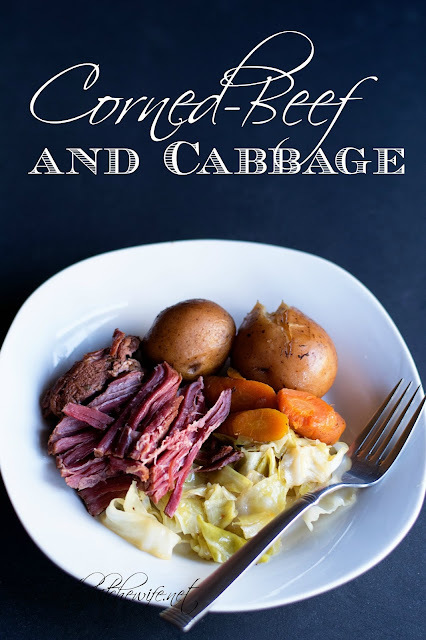 I have had a ball with it, and I will be sharing a little more of what I've been doing in a later post, but for today I wanted to tell you about the Crock Pot Corned Beef and Cabbage I made. To my knowledge I had never tried corned beef. And even though I may come off as a fearless foodie, sometimes I'm a little skittish to try new things. But, in the spirit of seasonal living, I dove right into the challenge. 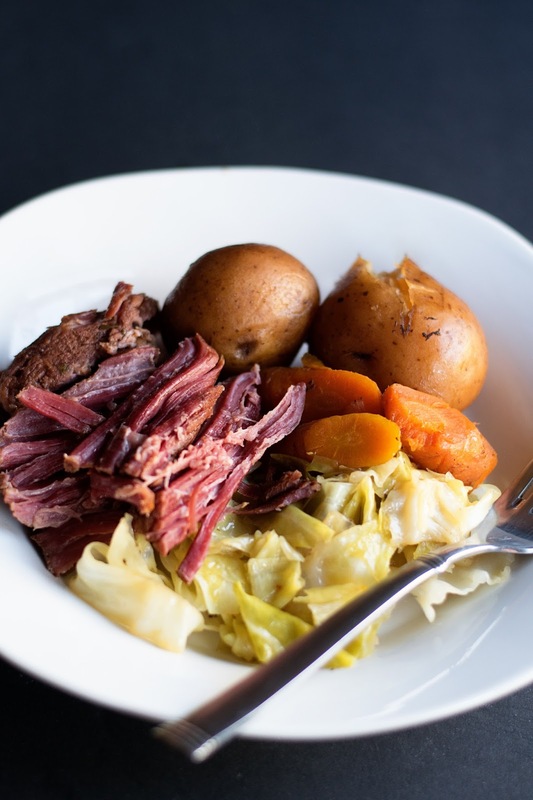 I'm so happy I did because this Crock Pot Corned Beef and Cabbage was delicious, not at all like I was expecting, and I can't wait to share the recipe with you. To begin you will need to make sure that you have a Crock Pot. I use the Crock Pot Cook N' Carry 6- quart Oval, Manual, Portable, slow cooker in stainless steel. It's nothing fancy, but it get's the job done. Next place the brisket, fat side up, in the crock pot. then sprinkle the contents of the seasoning pack the came with the brisket over it. Now add the carrots, potatoes, and garlic to the crock pot. Once you have done all of that you can add the beef broth. You can use water if you like, but the beef broth just really helped to enhance the flavor of the brisket. Place the lid on your crock pot and turn the heat to LOW. Let the brisket and vegetables cook for 8 hours. After the vegetable and brisket have cooked for 7 hours, remove the lid and add the sliced cabbage to the crock pot. I simply placed my on top. Return the lid to the crock pot, turn the temperature to HIGH, and let cook for 1 Hour. 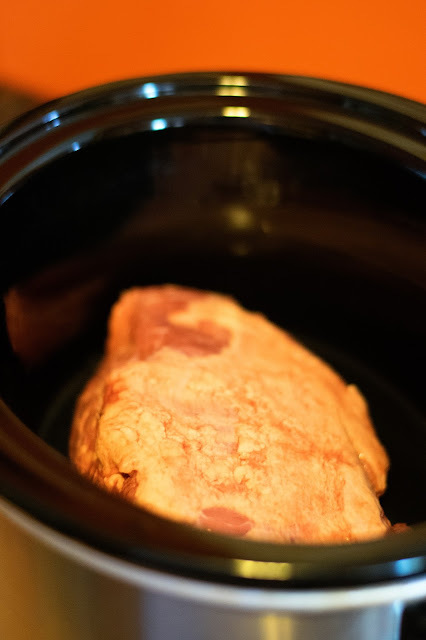 Place the brisket, fat side up, in the crock pot. Sprinkle the seasoning packet all over it. Add the carrots, potatoes, and garlic to the crock pot. Season with salt, pepper, bay leaves, and thyme. Cover with the lid and set the heat to LOW. After 7 hours, add the cabbage to the crock pot. Cover with the lid once again, and set the heat to HIGH. You are most welcome Rose! I have become a little addicted to my crock pot and have been cooking EVERYTHING in it! *lol* It makes life so much easier. I love the memory of your mom! Food is such a powerful thing in our lives. Not just by eating it, but smells and memories. It's beautiful! Thanks so much for reading! I have all the ingredients on hand, so I'll be making this recipe this week! Thanks for all you do! I know you work hard for all the info you give us! Awwww...thank you so much! I can't wait to here what you think Lynne!